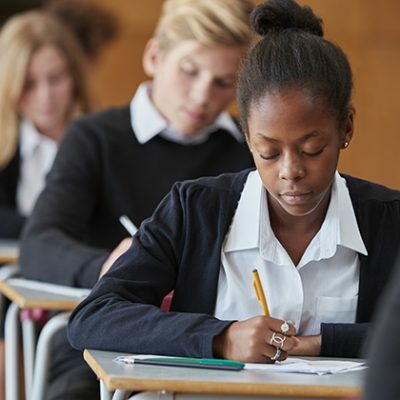 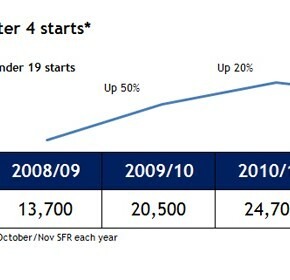 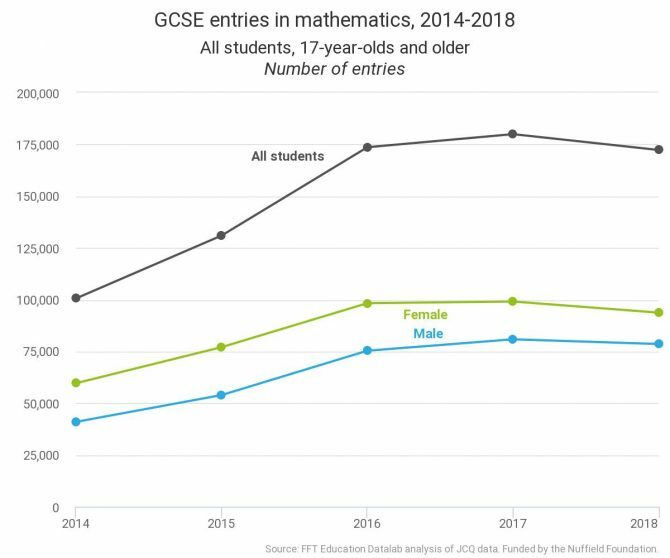 Here are the 2018 GCSE maths results for all students in the UK, aged 17 and over, and the trends in grades and number of entries since 2014. 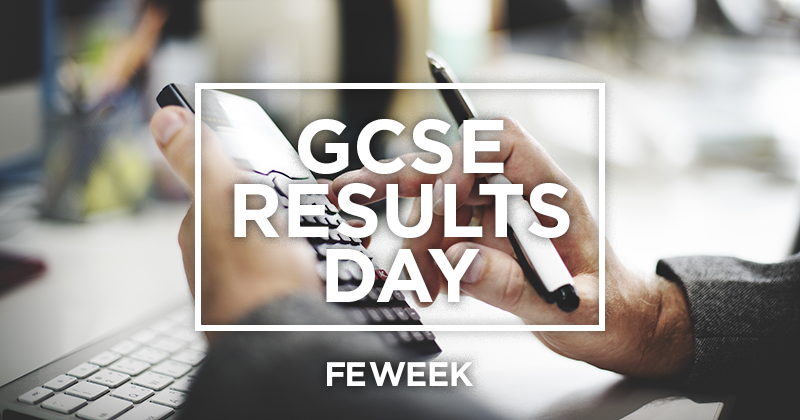 Here are the GCSE English resit results for 2018. 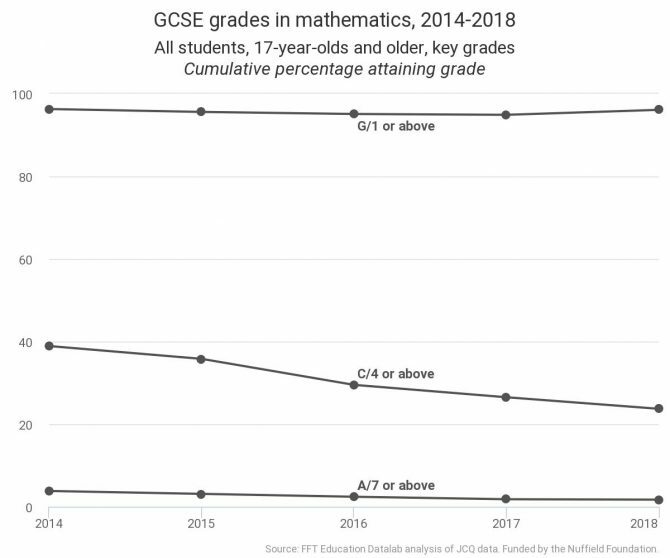 Thanks to Education Datalab for preparing the graphs.